AILLA. 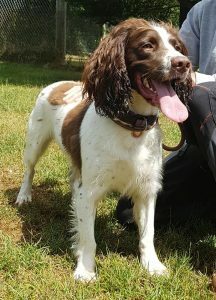 SPROCKER/SPRINGER GIRL, aged 2 years old. Stunning Ailla loves to be active and occupied. Do you have time on your hands? Are you a great walker/love the idea of agility and training? Need a funloving, affectionate and very beautiful best friend?